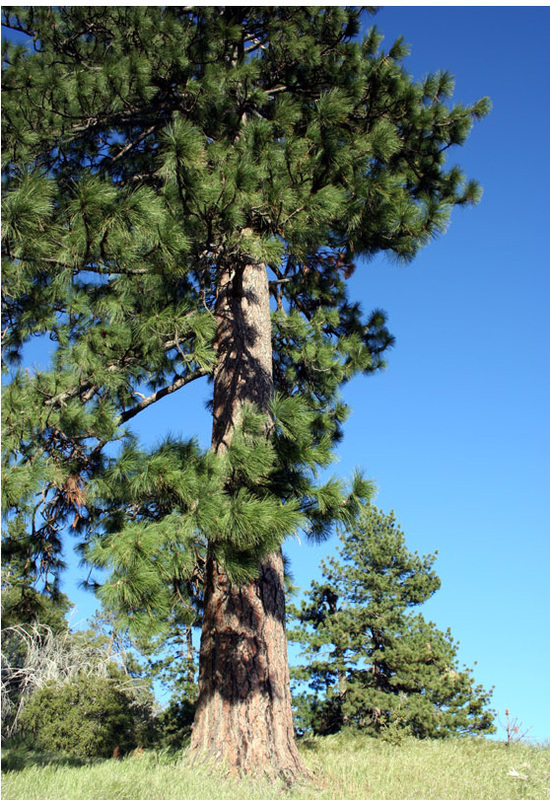 Ponderosa pine tree; photo by Clyde frogg on Wikipedia (use permitted with attribution: CC BY 3.0). 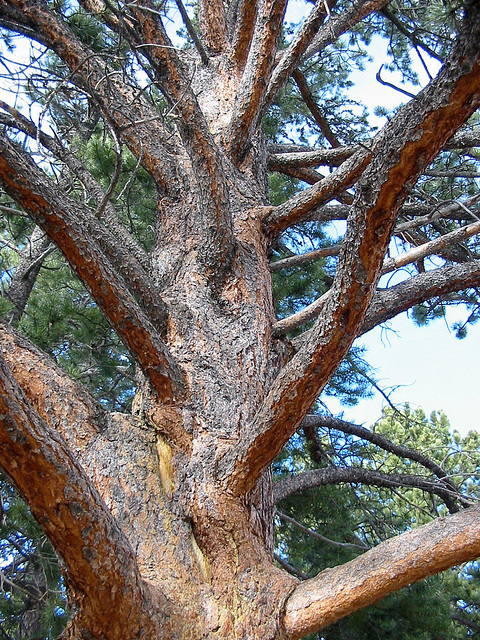 Montana schoolchildren selected the ponderosa pine over the Douglas fir, American larch, and cottonwood as Montana’s state tree in 1908, but it was not made official until 1949. 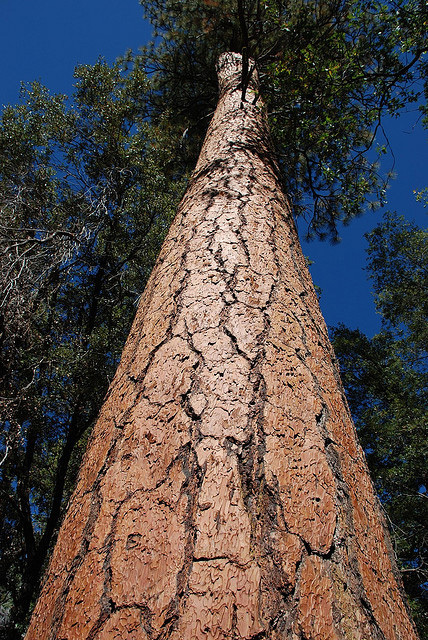 Massive ponderosa pine tree; photo by Seb Ruiz on Flickr (noncommercial use permitted with attribution / share alike). 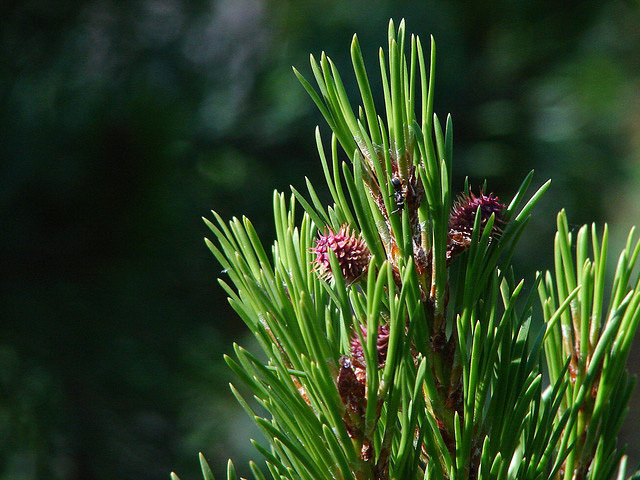 Ponderosa pine with young cones; photo by skw (aurorasoul) on Flickr (use permitted with attribution). Limbs of a ponderosa pine tree; photo by Beth Hoffman on Flickr (noncommercial use permitted with attribution / share alike).